All our in-house consultancy services begin with the end in mind. We focus on understanding your expected outcomes and providing value, by making everything we do applicable to your own work environment. We are highly collaborative and recognise that every project we undertake is as individual as the people who make up your organisation. Each bespoke management course, adaptive skills programme, team workshop and coaching session we run, is driven by you and will always be fully customised to meet the needs of your organisation. The programme content, length, tone and emphasis can all be tailored to reflect your specific requirements. For more information about our flexible range of psychometric testing services, please scroll to the bottom of this page. We are dedicated to providing a positive return on your investment and apply a transparent daily rate which includes: learning needs analysis, programme preparation, applied resources and materials, use of any proprietary inventories, engaging session delivery, learner support, detailed evaluation and follow-up. As registered providers of market leading psychometric tests and occupational personality profiles, we offer a number of proven assessment tools - each carefully selected to help reduce risk when making key business decisions, by providing insight into individual abilities and expressed preferences in the work situation. Endor are recognised by the British Psychological Society (BPS) and are fully accredited to administer, interpret and feedback on a wide range of reliable and validated instruments. 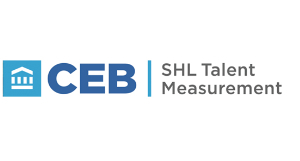 We work with CPP, Team Management Systems, SHL Talent Measurement and Thomas International. 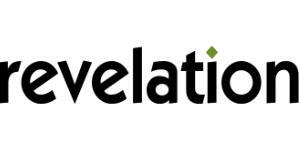 We are also the sole UK distributor of the Revelation Personal Development Profile. The world’s leading tool for measuring personality type – a powerful, versatile, personality type assessment which provides the foundation for a deep understanding of personal motivations and group interactions. It delivers a common language for understanding the interpersonal differences that shape us as individuals. Take ownership of professional development. Transform performance discussions. Extend options for personal development by creating realistic and stretching development plans, linked to individual aspirations. Make ongoing development conversations a reality in your organisation and increase commitment to recognised goals. Work together in high performing teams - strengthen relationships and build exceptional results. Use the Margerison-McCann Team Management Profile to develop a shared approach to working collectively. Provide every team member with insight into their own contributions, work preferences and personal motivations. Accurately compare problem solving and decision making abilities - a reliable and validated business exercise, developed to accurately assess decision making skills, problem solving and analysis. Provides insight into reasoning and judgement skills when making decisions, particularly when faced with new information.